Karlina Paredes Fulk attended San Jose State University, graduating with a Bachelor of Arts degree in History, with an emphasis on American Military Strategy. She received her Juris Doctorate degree in 2011 from the University of California, Berkeley School of Law. 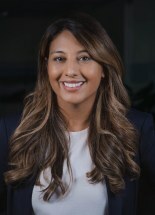 During law school, Ms. Paredes Fulk Served as an Executive Editor on the Berkeley Business Law Journal and remained active in many clubs and activities. She additionally interned at the Santa Clara County Superior Court, and clerked at a mid-sized firm in the Law and Motions Department. Ms. Paredes Fulk joined Hoover Krepelka in 2016 as an Associate Attorney and in April 2018 was promoted to Senior Associate Attorney.